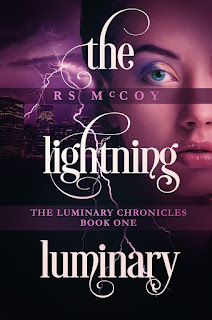 Welcome to my stop on the blog tour for the release of The Lightning Luminary by R S McCoy. Below you will find the synopsis and all the details about this book along with my review. I received an ARC of the book in exchange for my honest review. This was a beautiful story interwoven with Greek mythology. There is so much going on in the book that it needs to be devoured slowly to take everything in. The story starts off by introducing the main character Talia. However, it quickly introduces you to a slew of other characters that can be difficult to keep track of. We don't see Talia again until nearly a quarter of the way into the book. That worried me some. However, each time we were taken back to a character, we were given just enough of a clue to remind us who this character was. Soon I was able to remember who everyone was. But I'm still full of questions about relationships, history of the characters, and much more. The book ends without a full resolution. However, you can see where the next story will go. This is the only reason I'll forgive the author for the cliffhanger. 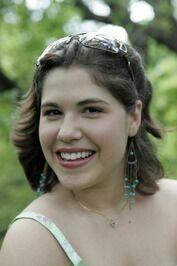 Rachel McCoy is a Texan living in New Jersey. Between binge watching MTV reality shows and baking gluten free treats, she writes paranormal fantasy and science fiction novels. She is the self-published author of the Sparks Saga trilogy as well as numerous short stories, some of which now reside in anthologies. Back when she lived in the real world, Rachel earned a degree in marine biology, which contributed to her die-hard love of manta rays.